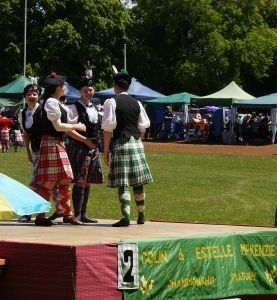 The 2019 Daylesford Highland Gathering will be held on Saturday the 7th of December, 2019. Our event provides an opportunity to immerse yourself in the culture of Scotland with Highland Dancing, Pipe Bands, Scottish food and stalls and a Gathering of the Clans. Our captivating Street Parade commences at 9.00am. Come along and watch the enchanting Pipe Bands bring the main shopping precinct to a stand still as they parade through the Main Street of Daylesford. A full days activities of dancing, piping & drumming will commence from 9am at Victoria Park. The Official Ceremony is at 1pm. The Grand Finale including one of the most memorable events of the day – the massed Pipe Bands is at 4.30pm. The day concludes at approximately 5pm. The site of our gathering, “Victoria Park” has recently completed a major redevelopment and it is looking great!